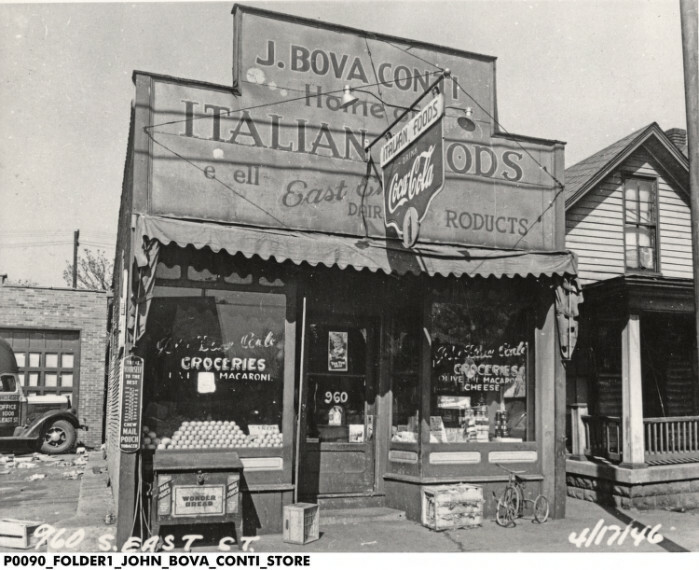 In this week’s Room With a View column featuring Chelsie Roy‘s photo of the Indianapolis City Market, the author wondered what the view would look like with Tomlinson Hall, the former community building that stood west of City Market from 1885 until a fire destroyed it in 1958. Although I could not find the exact same angle, this 1907 glass negative by the Detroit Publishing Company shows a similar view of the Indianapolis City Market next to Tomlinson Hall and looking north at the growing city. 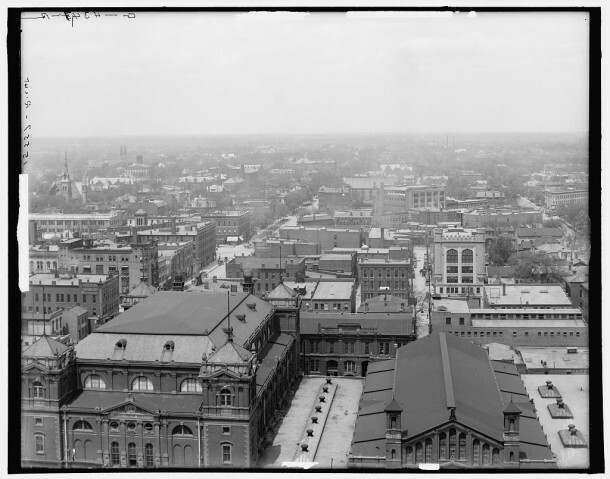 In about 1907 a photographer from the Detroit Publishing Company climbed the stairs of the Marion County Courthouse clock tower with his large-format camera and 8″ x10″ glass negatives and took several shots of the city. The bird’s-eye view looks north between Delaware Street (left) and Alabama Street (right). 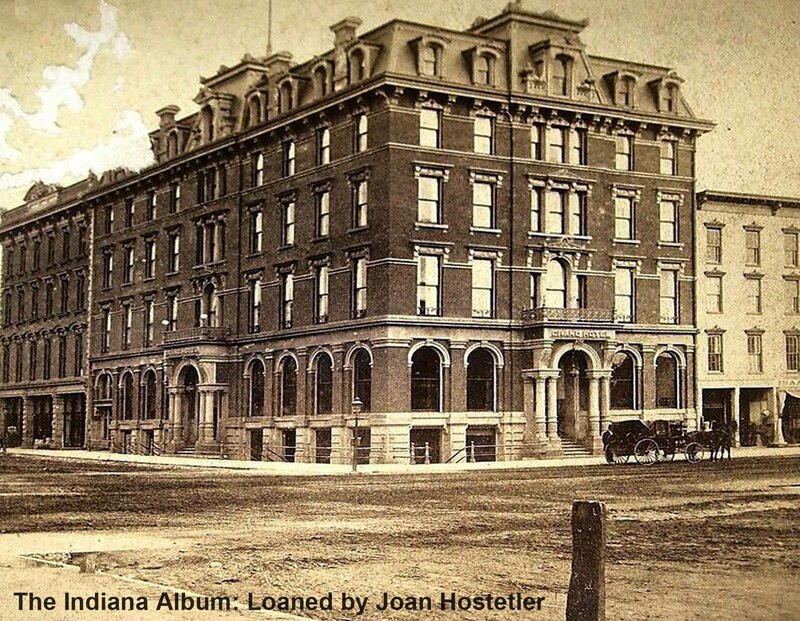 In the foreground on the left is Tomlinson Hall adjacent to the Indianapolis City Market. 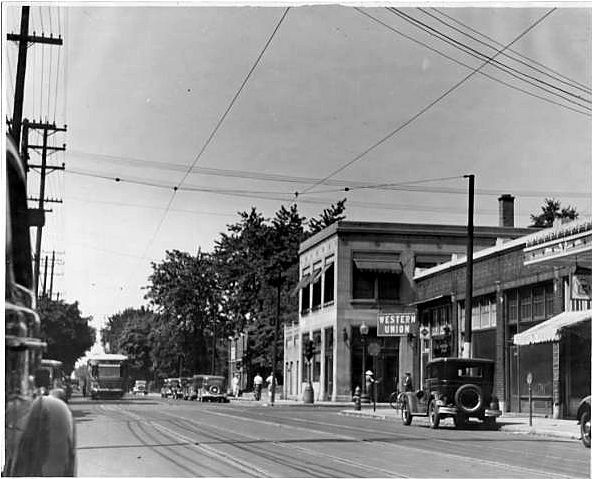 Castle Hall on Ohio Street is seen at the right/center (behind the Market) and Massachusetts Avenue can be seen angling northeast in the distance. 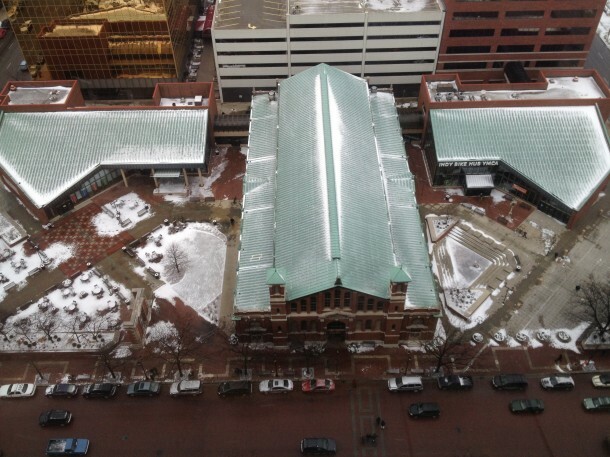 Matt Heidelberger, an urban explorer who documents buildings throughout the United States, captured this more recent view from the City-County Building. 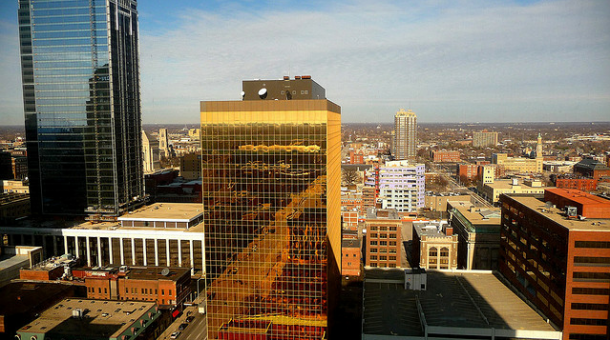 Today Market Square Center, popularly known as the Gold Building, and One Indiana Square (to the left; former headquarters for Indiana National Bank) dominate the view. 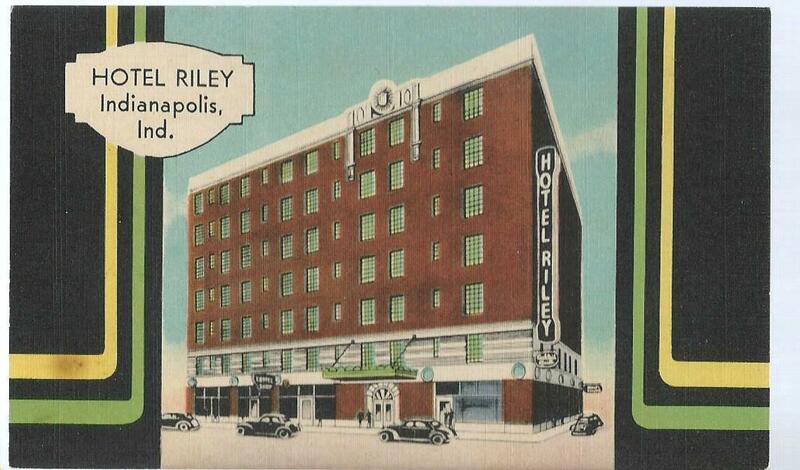 Don’t forget that you can get an insider’s view of the City Market and the old Tomlinson Hall underground catacombs this Saturday at the City Market Pajama Game hosted by Historic Indianapolis. These photos “let history flow”….what else can one say? Glad to see Tomlinson Hall featured. I love seeing before City Hall was built. Another great one, Joan!